All over the world, we see companies, institutions and even entire industries adopting the IoT as a mainstream integral aspect. There are companies that are purchasing electronic devices to better connect their employees to various parts of the supply chain, and there are institutions making use of 24/7 connectivity to ease along their processes. In an effort to keep with the moving times, the asset management community has started to adopt the technology for their benefit. Since the IoT involves electronic devices, which operate on the principles of connectivity, it has become easier than ever, with the implementation of the IoT, to keep track of one’s complete assets, as well as make sure none of those are malfunctioning, or being misused. The benefit of being able to track technology is not the only advantage that leveraging IoT will bring to asset management, since there is always the anti-silo disruptive potential that the internet of things has, towards traditional, legacy asset management systems. Software asset management is another area where the internet of things can prove beneficial. Since useful analytics and data is easier to glean from software, data accumulation can be made considerably more streamlined, and the amount of leverage-worthy data can be increased. IoT-based devices lend an integrally beneficial quality to the task of asset management and tracking. It is just as well, seeing as using devices for this purpose is not only cost effective, but leverages the internet of things to the fullest extent, while at the same time keeping the data received, within the closed network. Currently, there already is a burgeoning usage of the IoT for asset management and tracking purposes, with some analysts predicting that the very same usage is expected to triple, within 4 years from now. 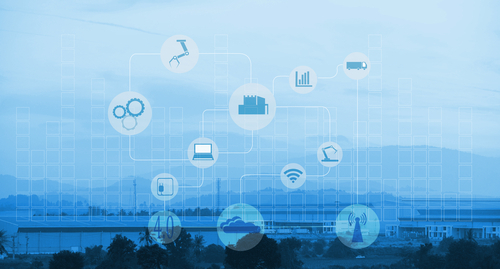 The technologies and media used for asset management and tracking include, but are not limited to WiFi, UWB, 2G, LPWA, 5G, NB-IoT, ultrasound, RFID, infrared, among various others. To aid with tracking and managing assets, leveraging the IoT is not limited to devices with stock management systems. There are several top-notch asset management systems which are optimized for devices, and which make the tracking of assets and property simple and efficient. AIRcable Gateway: This management system utilizes BLE and Wi-Fi together, and despite the small size and Bluetooth-based operation, it is quite potent in iBeacon search and server data relay. BeWhere Asset Tracking: The asset management solutions presented by BeWhere are rugged, innovative and relatively weatherproof, with a 250 meter range. The industrialized software applications, hardware and sensors provide real time asset tracking. Practically speaking, the time to broadly adopt the internet of things is now, since companies and industries are already well on their way to innovate the existing IoT layout. Leveraging IoT at this stage will prevent asset management from being left behind, in terms of tech and innovation.